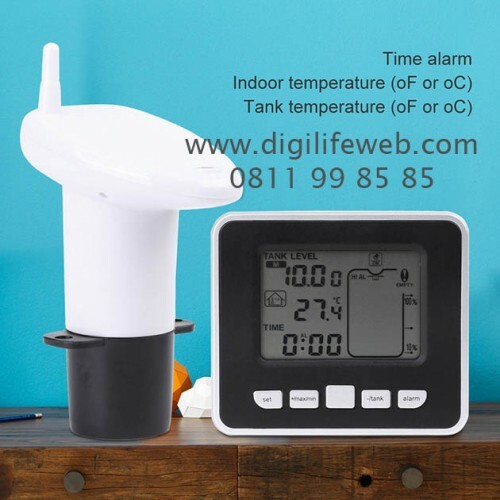 Alat untuk monitor ketinggian air dalam bak air, toren, water tank. 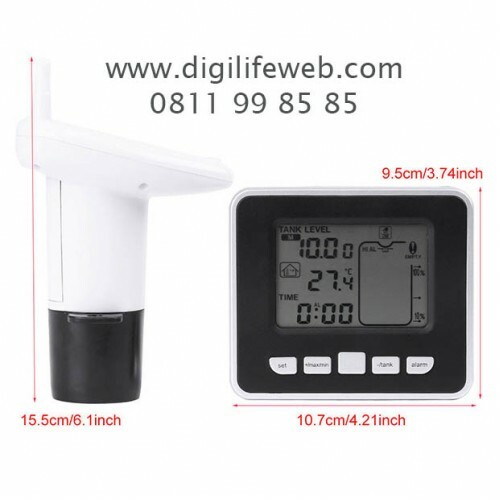 Dilengkapi dengan sensor suhu. 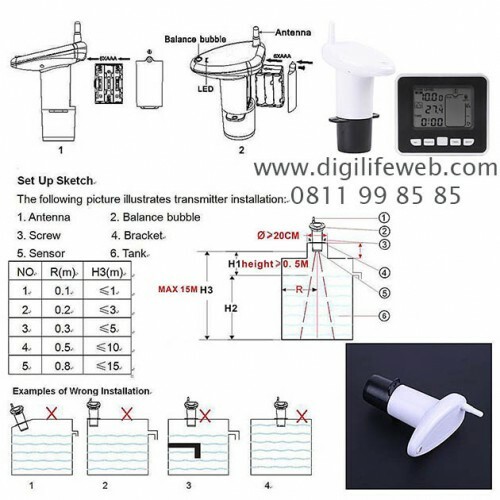 Menggunakan teknologi ultrasonik. Tanpa kabel. 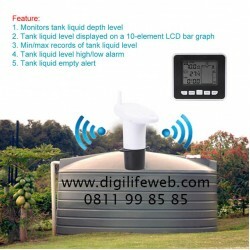 - Keep an eye on your outdoor water tank from the comfort of your own living room, up to 100m away. 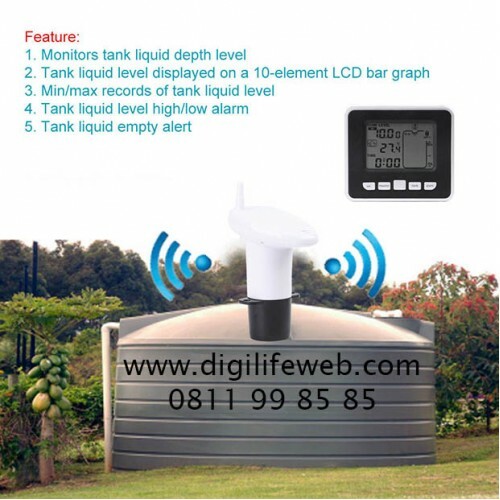 - Installed at the top of your water tank, the transmitter unit measures the water level and temperature using an ultrasonic sensor. - You can hang the receiver unit on a wall (hooks) or pull out the stand and place it on your kitchen bench top, table or desk. 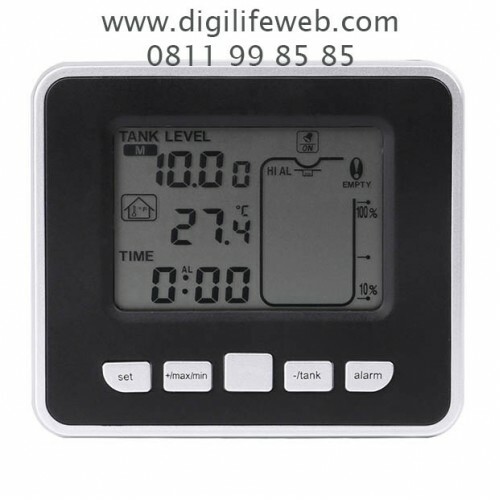 - View your room's temperature, tank temperature and water level (represented by a 10 element bar graph). 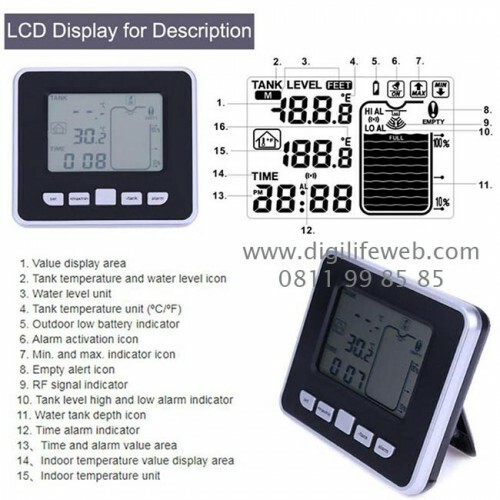 - You can store min/max records and set alarms for specific water levels (high/low) or when empty.